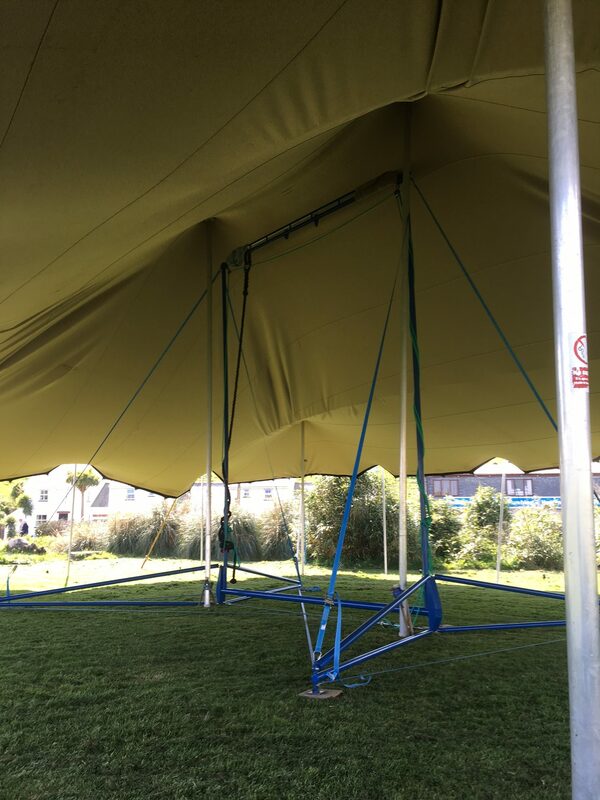 Didn’t know we could fit a static trapeze in one of our Stretch Tents! 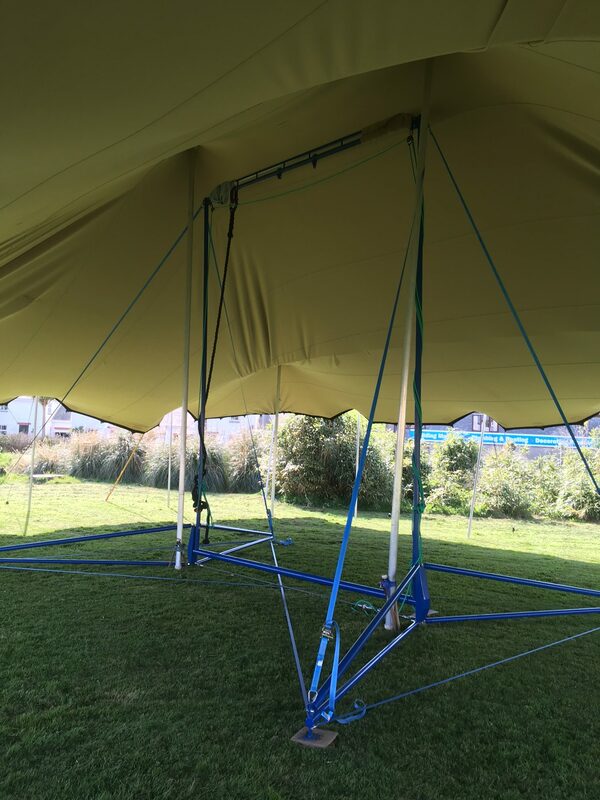 I can’t wait to get the trapeze up and running for the children’s tent at the Porthleven Food Festival. There are so many ways to put our tent up! 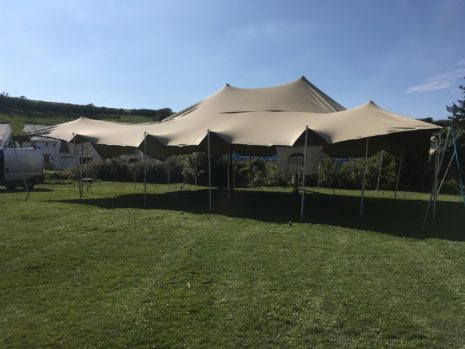 This year we were asked to provide the tent for the children’s field at the Porthleven Food Festival. 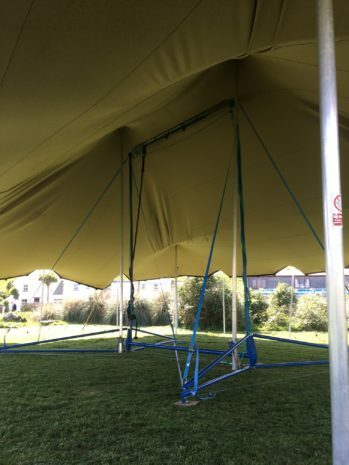 They are putting a static Trapeze and hoop in our tent! I can’t wait to have ago during their workshops!